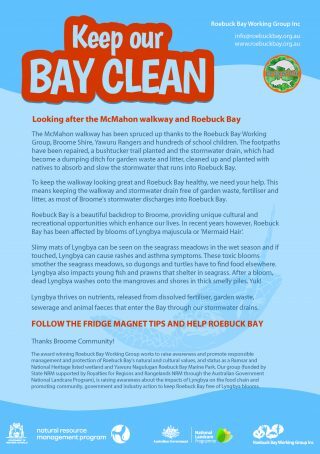 If you live near the McMahon walkway, you will receive a nice surprise on your gate or porch Fridge magnets have been delivered with tips to keep the walkway and stormwater drain clean and green. 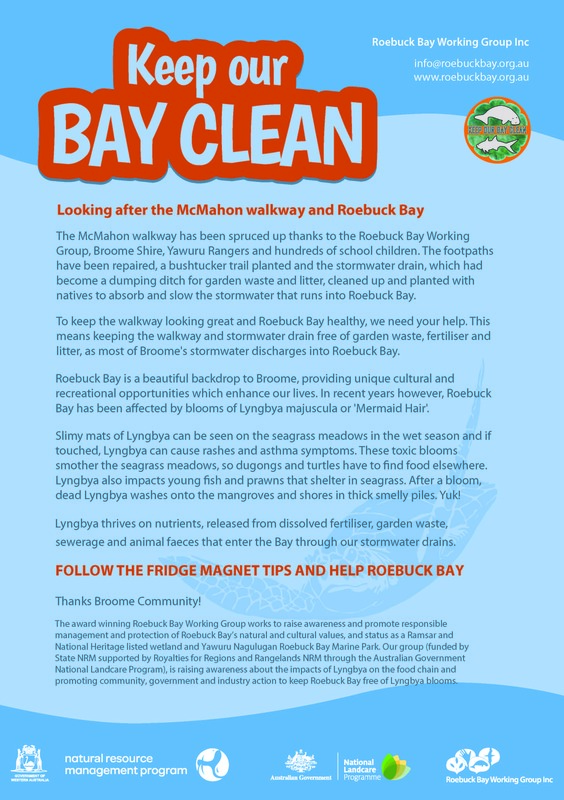 Roebuck Bay Working Group, Broome Shire and Parks and Wildlife Service Yawuru Rangers helped hundreds of young people in the area plant a bushtucker trail beside the walkway and drain. Dr James Gilmour studies Kimberley coral reefs and their capacity to thrive in dynamic settings; climate change however, is challenging their resilience. Dr Jim Underwood studies coral reef animals, like fish, corals and seagrass, which release larvae or seeds to form ‘recruits’. 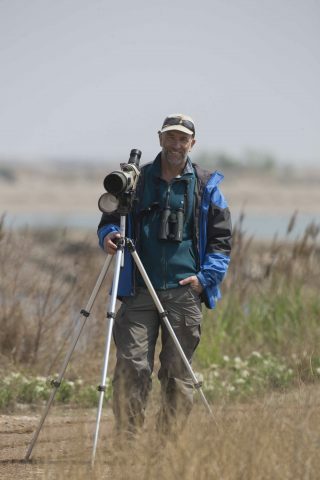 How far do larvae and seeds move on currents before they settle and grow to adults. 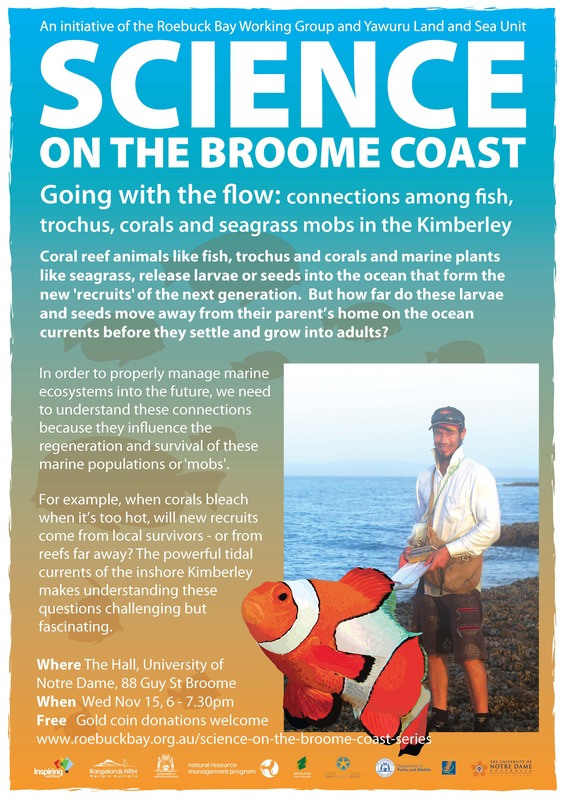 When corals bleach, will new recruits come from local survivors or from reefs far away? 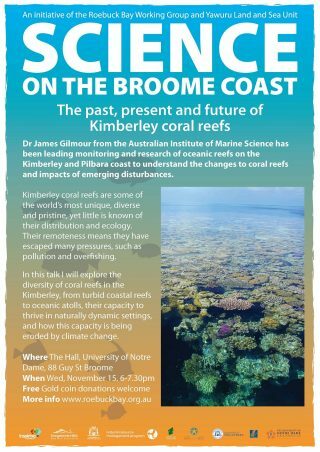 Wed, Nov 15, The Hall, University of Notre Dame, Broome.